This block will give you a place to show off your armor. Just place the block and right click on the platform. You can choose from a selection of skins to hold your armor, as well as have it stare at you, constantly. You may also change the texture of platform by putting block in the last slot. 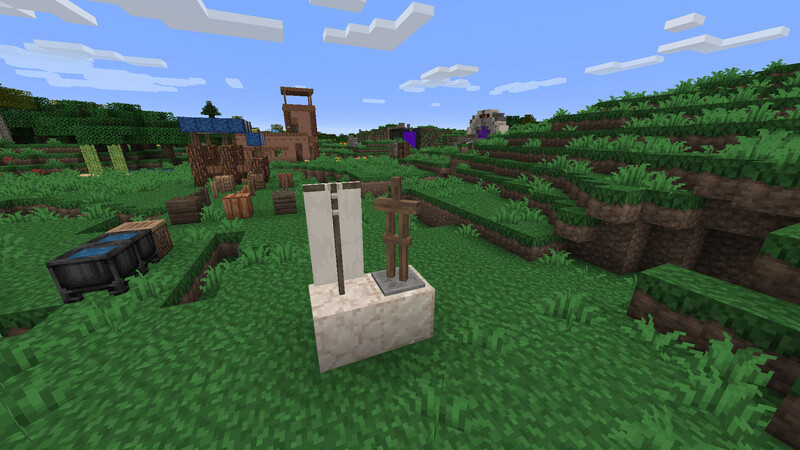 Known issues include: placing a block inside of dummy, standing on its head, possible inability for mobs to path around it. Recipe is 3 solid stone blocks along bottom, with 2 sticks in the middle.